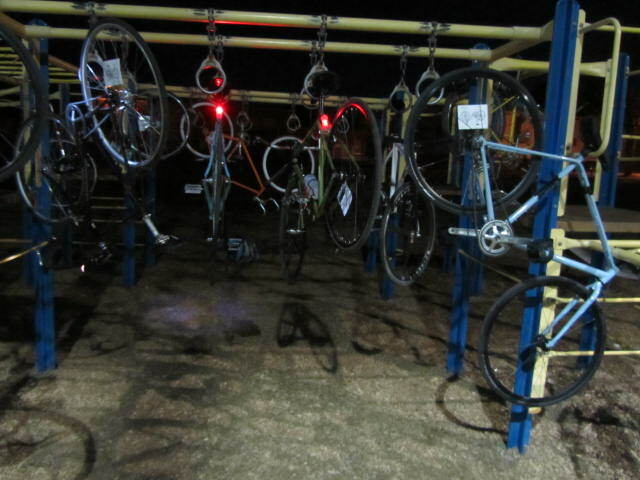 Boy did you miss out if you were not on the last Monday Night Night Ride. A short ride from Joaquin Park led us to Kiwanis Park, and their incredible play grounds. Fun and feats of strength followed as the group of bicyclists played on the monkey bars, swings, and climbing rocks. I was having so much fun I only snapped these two pictures, which were the brain child of the Andrew U. 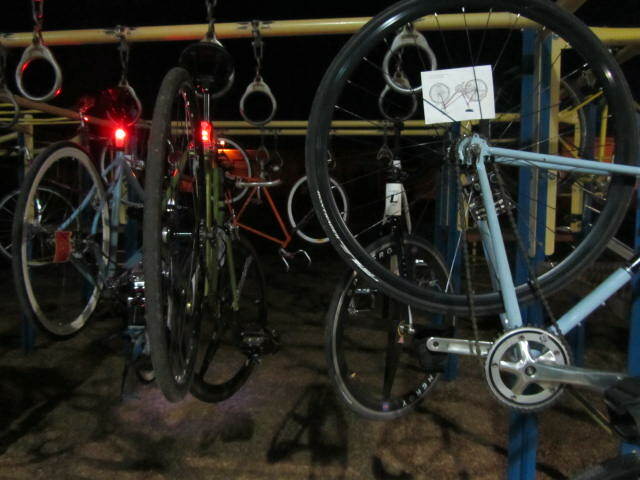 As he said all our bikes, “Were just hanging out.” Make sure to not miss the next ride by joining the group here. See you next Monday!